We are organizing for 40 participants* with Rosalind, Charlie and Laurie. Please register for the workshop and then separately make your hotel reservation. 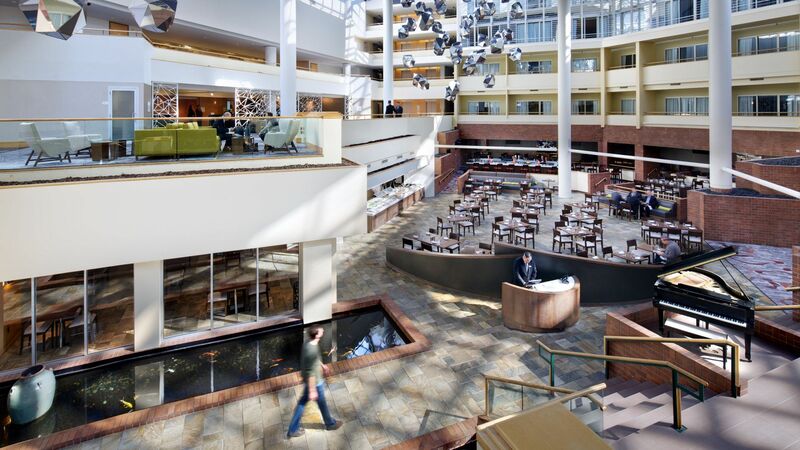 Our workshop hotel is the Princeton Hyatt Regency and we have negotiated a special rate. Breakfast and lunch are included. Travel to Princeton from Newark Liberty International Airport is forty-five minutes by either Uber or the New Jersey Transit train. Airports within an hour's distance of Princeton include Newark International Airport, Philadelphia International Airport and Trenton-Mercer Airport. The NJ Transit train to Princeton Junction is accessible at the Newark International Airport. Download detailed train and driving directions to Princeton Junction from Newark. *The Hyatt Regency offers guests free parking and complimentary SUV transportation or shuttle service to locations within a 5-mile radius. Downtown Princeton and the Palmer Square area in particular contains an ample amount of wonderful restaurants for a wide variety of tastes and is a short drive away from the Hyatt Regency Hotel. An even shorter ride is the Princeton Market Fair on Route 1 which features Seasons 52, P.F. Chang's, Brick House Tavern, On the Border Mexican Grill, TGI Fridays, Bahama Breeze, and Bobby's Burger Palace.